It’s that time of the year again, the Goodwood Roos will be taking on the Goodwood Saints in our annual charity match. This year we will be supporting Patch the Lion Foundation. Hear the roar! The great nations of Goodwood Cricket Club and Goodwood Saints will go head-to-head on the pitch! Tuesday February 5 during a fast-paced 20/20 match at Goodwood Oval. The canteen will be open as well as the BBQ. 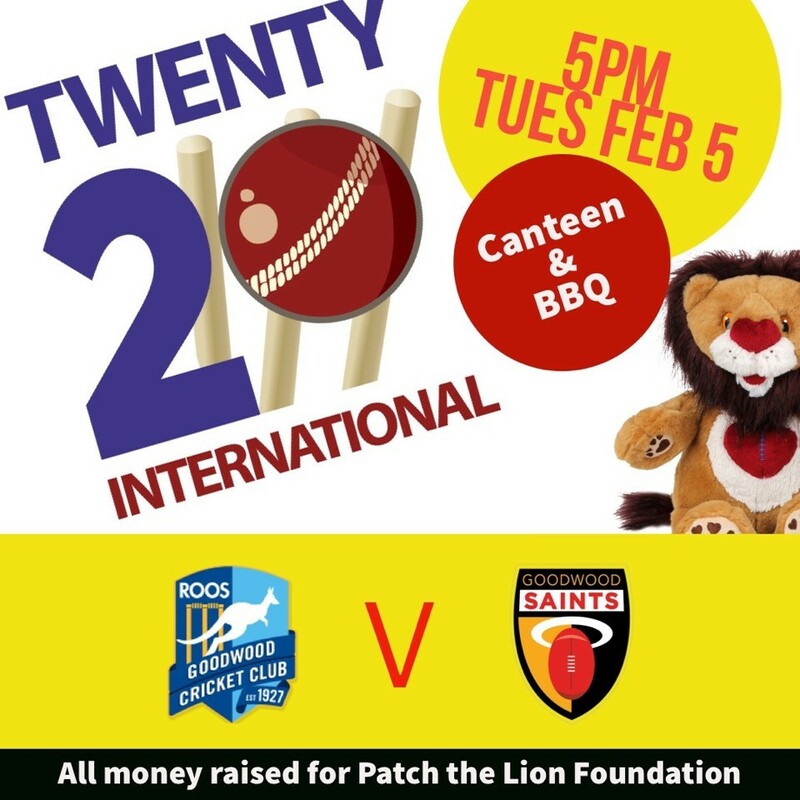 Come along, wear your team colours, stay for a family BBQ dinner & help raise funds for Patch the Lion Foundation, supporting children with congenital heart disease. You can also click attending on the Saints Facebook Event here.